A native Texan, Josh Grelle was raised on stage and in the art studios of Central Texas. He performed on stage at the Tin Building Theatre for over 15 years prior to starting work for ADV Films at the start of 2004. Since then he has worked for ADV Films (Seraphim) and FUNimation Entertainment on numerous projects. Josh has also lent his vocal talents to such shows as: ROMEOxJULIET; NERIMA DAIKON BROS; D.GRAY-MAN; ONE PIECE;KIBA;AIR GEAR; MERMAID MELODY PICHI PICHI PICH; and many more. 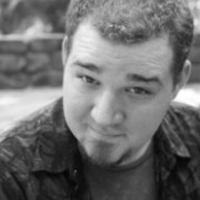 Josh was also ADR Script Writer for the magical harem comedy MAGIKANO–which he also provided voices for–and Assistant Writer for MOONLIGHT MILE. Aside from theatre and the Anime Industry, Josh has also worked in the Comic Book industry as a freelance colorist doing “the grunt work” for Marvel Comics and a few other studios around the world.